Sittwe -- Sixteen-year-old Zaw Myint Tun wants to be an engineer. In mid-March, he sat Myanmar’s national matriculation exams in the hope of going to university and pursuing his goal. In preparation, he told ucanews.com in an interview, he drew out a study schedule, with different exercises covering the six subjects included in the matriculation exams. Last month, students all over the country took the exams, in which a higher overall score will get you into a more prestigious institution of higher learning, on a more prestigious course. For Zaw Myint Tun, only a score high enough to get into a university in Myanmar’s largest city, Yangon, will do. The closest university to his home in Thetkepyin village, Sittwe University — which has a lower entrance requirement — would not let him in. Zaw Myint Tun is a member of the Rohingya ethnic group in western Myanmar’s Rakhine state, who since violent riots spread across the state in 2012 have had restrictions placed on their movement, as well as on their access to basic services and education. His family fled their hometown of Kyaukphyu by boat, reaching the part of the Sittwe peninsula that now forms a sort of open prison of camps and villages for more than 100,000 people. Zaw Myint Tun has already lowered his expectations from actually studying engineering, which is one of a handful of subjects, also including law and medicine, that can only be studied by Myanmar citizens. Most Rohingya, including Zaw Myint Tun, do not have citizenship as the group is not recognized as an official “nationality” in the country. If he gets onto a course in Yangon, he will likely still face difficulties. According to Muslim former students in Yangon, even non-Rohingya Muslims have faced discrimination at Myanmar universities, with degree certificates in some cases being withheld if the student cannot present a national identity card. “I will have to get a permit from the immigration department,” said Zaw Myint Tun, who is in a better position than most Rohingya students as he has been singled out for financial support by displaced people from Kyaukphyu. Sitting the matriculation exams alongside Zaw Myint Tun last month were 97 other Rohingya teenagers. Their school in Thetkepyin, the only public high school open to Rohingya in all of Sittwe, is just a few hundred meters, across some disused railway tracks, from Sittwe University. When those students allowed to attend the university are on their way to classes, Myanmar police officers are posted along an access road, which goes through a Rohingya neigborhood. 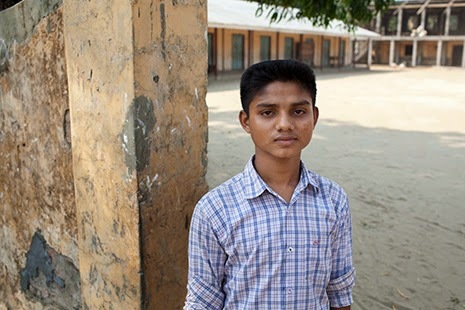 Another Rohingya student, Kyaw Maung, 18, said he was anxious about how he had done in the exams, the results of which will be released in June. “I answered all the questions on the paper. I think I did well in four subjects, but physics and chemistry didn’t go that well,” he said. “If I didn't pass, I will take the exam again. “I have a great ambition to join Sittwe University,” he adds, well aware that this ambition is likely futile. “If I pass with a good grade, I would also like to go to Yangon, but I don’t have any money. 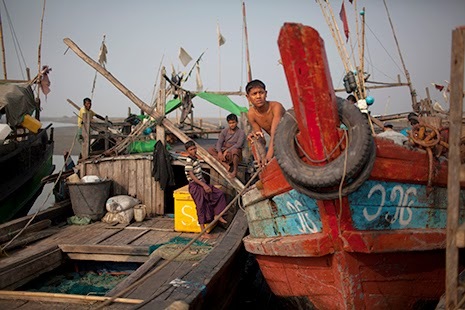 Employment prospects for Rohingya youth in Sittwe amount to manual labor or fishing, volunteering as a teacher — which pays just 50,000 kyat, or US$50, per month — or, most lucrative, finding a job with an international nongovernmental organization. That was the choice that faced about 400 Muslim students who were enrolled at Sittwe University when rioting ripped the town in two. Their educations were suspended indefinitely with authorities officially declaring that security concerns meant they could not return. The rector insisted that “there is no policy” that excludes students from the university on ethnic or religious grounds, but admitted that, in practice, Muslim students were not accepted. “All the students now are ‘nationalities’,” he said. The rector insisted that there was an avenue open to Rohingya students wanting to continue their education at Rakhine state’s biggest university — distance learning. Arrangements were made for about 80 Muslims students in the southern Rakhine town of Thandwe, and about 15 in the Muslim-majority northern part of the state, to learn at home and sit exams under Sittwe University’s supervision. But no efforts have been made by the university to reach out to young Rohingya people in Sittwe, who would anyway face a difficult task studying at their home — which for most is a crowded temporary shelter. Thetkepyin school has only seven government-trained teachers, alongside 51 local volunteer teachers, and some 2,600 students to teach, the headmaster said. Much of the teachers’ work involves building up basic education among a population with high levels of illiteracy and widespread trauma. Last year, only two students out of 18 who took the matriculation exam passed. One of those made it onto a pharmaceutical course in Yangon, offering a chink of hope to this year’s cohort of 98 who sat the exam.